Que:"The book ""Swarga Vathil Thurakkunna Samayam"" is written by"
Que: "Horthus Malabaricus" a seventeenth century book published in 12 volumes by the Dutch describes "
Ans: Medicinal Plants of Kerala. Que: Who started the State Transport service in Travanore ? Que: Which is the largest river in Kerala? 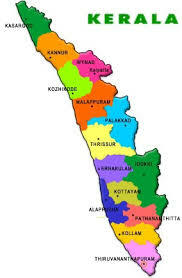 Que: In connection with which event, Mahatma Gandhi visited Kerala for the second time in 1925? Que: Who is the author of the book “Prabudha Keralam”? Que: Which organisation’s mouthpiece was the journal “Abhinava Kerala,”? Que: Who was known as Lincoln of Kerala?